Czech President Milos Zeman, who will arrive in Israel next week for an official visit, promises to intensify efforts to transfer his country’s embassy from Tel Aviv to Jerusalem. 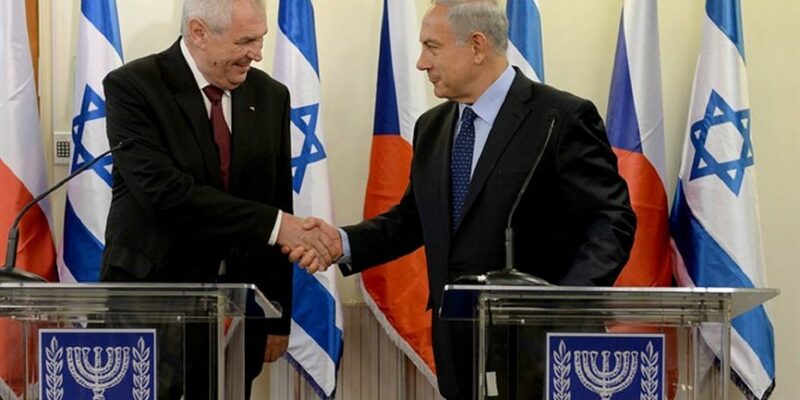 Reshet Bet reported that Zeman had announced this intention six months ago, but since then it has encountered resistance from various elements in Prague who are trying to thwart the transfer of the embassy to the capital of Israel. The Czech Republic recognised Jerusalem as the capital of Israel last December, following U.S. President Donald Trump’s recognition of the city as Israel’s capital. The Czech Embassy has been in Tel Aviv since 1949, except during the interruption of diplomatic relations under the former communist regime in Prague between 1967 and 1990. Any decision to move the embassy would first need to be approved by the Czech government.